The Wilson up a set dress is fitted with a full internal support bra for added comfort and features contrast binding at neck line, arm hole and body. This trendy, sculpted V-neck stretch jersey dress offers pleated back design details in liquid stretch two-colour burn out. It is produced from Polyester (88%) and Spandex (12%) knit. 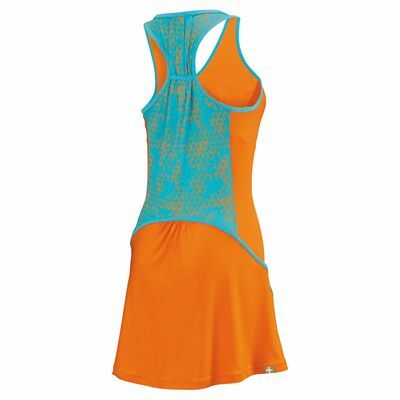 The skirt is perfect for the ladies who like to stand out while on the court by creating a dynamic, visual effect. for submitting product review about Wilson Up A Set Dress.